With servo system to control the mold rotary & increase rotary accurancy and reduce the dry cycle time. 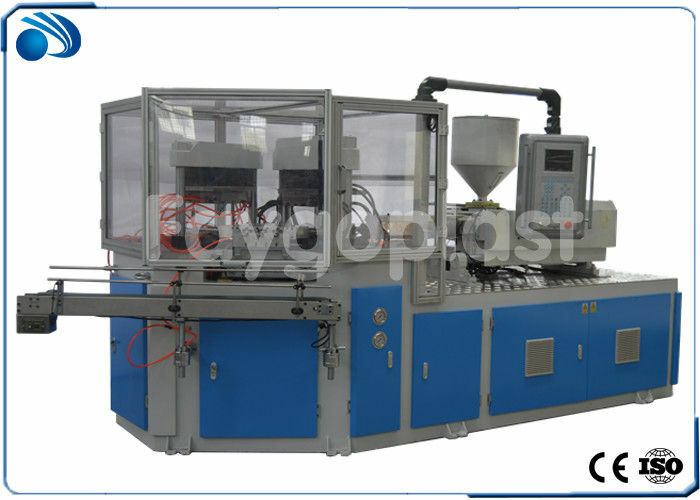 Special double cylinder horizontal valve plate superimposed injection system, so that the injection, storage more smooth and fast, beautiful appearance, Special plastic components, to meet the requirements of different products, multi-level injection, pressure projection. Internal layout optimization, equipment maintenance,maintenance more convenient. Release the digital sensor detection, and increase the mandrel rotary detection function, realize the unattended, automatic operation. Optional air conditioning mandrel function, shorten the product cooling cycle,solve the problem of sticking mandrel. Now FAYGO UNION GROUP has more than 500 customers from different countries, including UK, Spain, Germany, Norway, Switzerland, Italy, Turkey Russia etc. from Europe ,and America, Canada, Mexico, Brazil, Venezuela, Chilly etc from America, and Saudi Arabia, Iran, Syria, India, Thailand, Indonesia etc. from Asia, and many customers from Africa. Our factory is located in Zhangjiagang city, covers an area of 26,650 square meters. It only takes around two hours driving from SHANGHAI international airport. Welcome to visit our factory, and hope to cooperate with you in the near future.